I know there are some of you out there who hate when I write song parodies. So if you're one of these people, this is probably the day you want to avert your gaze or read some other, less interesting, blog. But for those of you who enjoy them as much as I do, I have a special treat for you today. 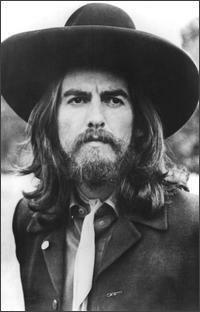 While it's a meaningless fact, I share the same birthday as the late George Harrison (also Carrot Top and Jim Backus, but that's less relevant). So inspired by his musical deftness, I've written another song for you to enjoy. It's called "Here comes a Job" to the tune of "Here comes the Sun." All you need to do now is click on the play button for musical accompaniment and sing along. Unemployment, will an Obama second term help? I love your songs. so, I smile and begin to sing. Ouch. My unemployment ran out months ago, I am 6 days late on rent, and I responded to an obama fundraiser request by writing obamacare has not help me(already gave fyi).